SINGAPORE - For the first time, the majority of Build-to-Order (BTO) flats launched will be built using a new pre-fabricated method that reduces the number of workers needed at construction sites, said the Housing Board on Tuesday (Nov 14). Of the 4,829 BTO flats launched across five projects in the latest HDB sales exercise, 3,880 flats, or 80 per cent, will be built using the pre-fabricated pre-finished volumetric construction (PPVC) method. 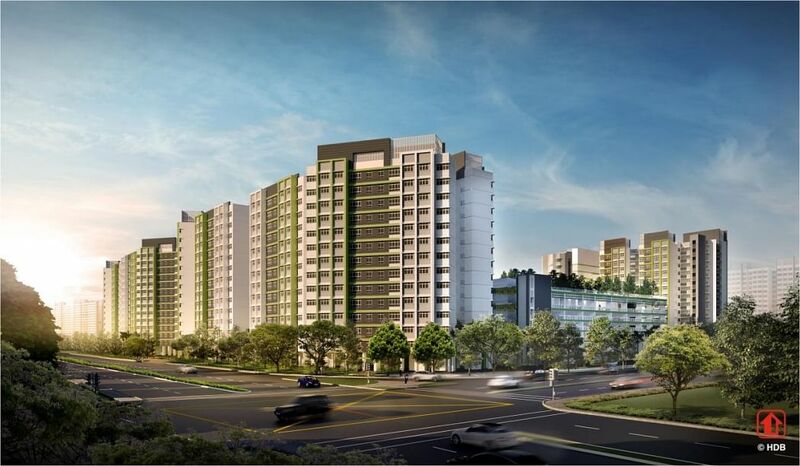 The three PPVC projects in this exercise are the 1,300-unit Fernvale Glades in Sengkang, the 388-unit Northshore Edge in Punggol and the 2,192-unit Tampines GreenCourt. Under this new construction technology, the fewer number of workers needed at construction sites means safety hazards and inconvenience to the public will be minimised. This method allows buildings to be made in a Lego-like manner, with building modules being fabricated in offsite factories. It is a major part of the Government's push towards raising productivity in the construction sector, as laid out in the industry's transformation map launched last month. On HDB's end, 35 per cent of all BTO flats offered should use the technology by 2019. This year alone, 22 per cent of BTO flats launched will use PPVC. 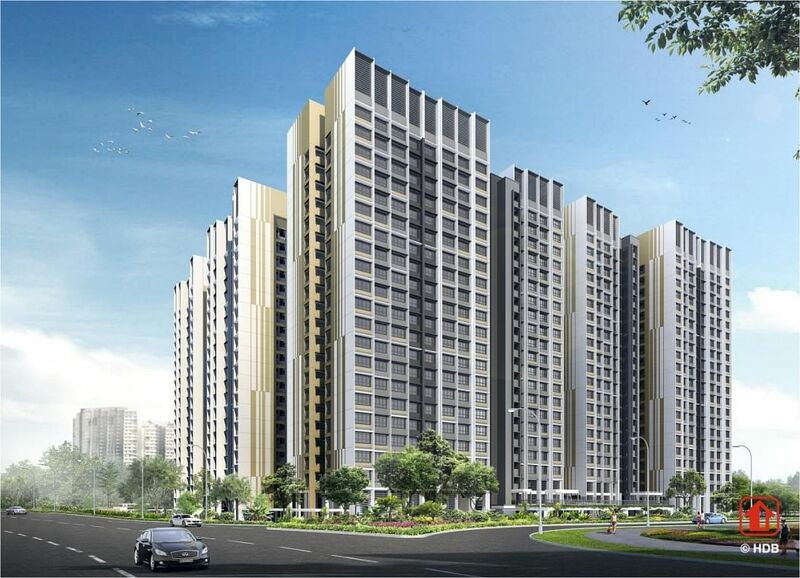 HDB's pilot PPVC project - Valley Spring @ Yishun - was launched in the August 2016 sales exercise. PPVC flats will come with floor and wall finishes, internal doors, window frames, sanitary fittings and a base coat of paint. The HDB will not be offering the Optional Component Scheme (OCS) - which allows BTO buyers to pick these furnishings as an option - with PPVC flats. Said HDB: "This will allow flat buyers to move into their flats more quickly as less renovation work is required. Flat buyers who prefer to choose their own finishes/fittings can opt for non-PPVC flats, where OCS will continue to be offered." Some prospective buyers said it was still too early to tell if there was a difference between homes made using PPVC and traditional on-site construction methods. The BTO flats on offer are in the mature towns of Geylang and Tampines, and the non-mature towns of Punggol and Sengkang. They include short-lease, two-room flexi flats for elderly home buyers and three-generation units for multi-generational families to live together under one roof. Another 3,401 Sale of Balance Flats (SBF) units are also on offer, bringing the total in this exercise, lasting from Tuesday until next Monday, to 8,230 flats. This brings the total number of BTO flats launched this year to 17,584 units, and the number of all flats, including those in the SBF and Re-Offer of Balance Flats exercises, to 26,325. Application for new flats launched in the November 2017 BTO and SBF exercise can be submitted online on the HDB InfoWEB from Tuesday until next Monday. Applicants can apply for only one flat type/category in one town under either the BTO or SBF exercise. The next BTO exercise will be in February 2018, when the HDB will offer about 3,600 flats in Choa Chu Kang, Geylang, Tampines and Woodlands. A concurrent Re-offer of Balance Flats exercise will also be held.